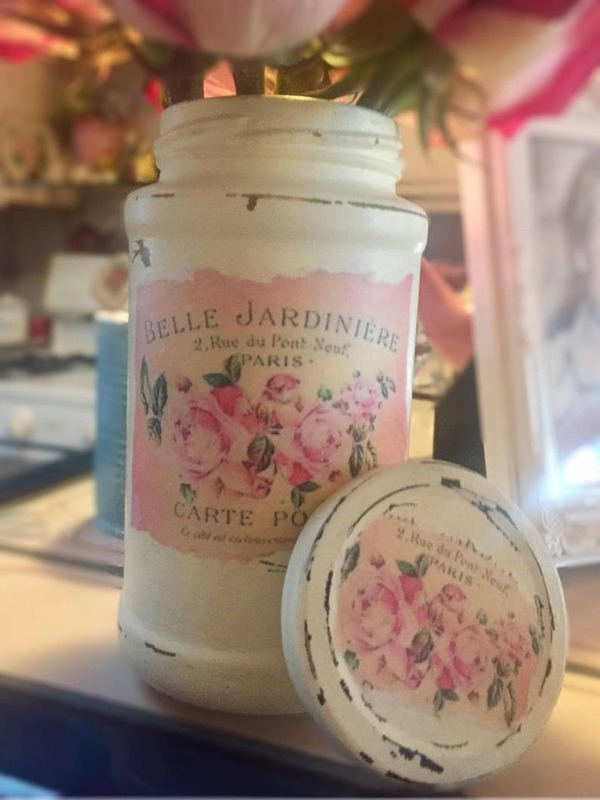 I have handpainted a glass jar and lid, lightly distressed and decoupaged with a pastel French label from Paris, France. 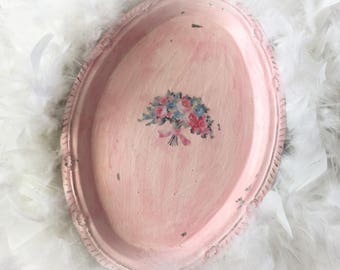 Very romantic and a perfect addition for instant charm to your French shabby chic style. Perfect for a flower vase, use to hold pens, pencils, makeup brushes etc. The uses are endless! This is for the jar only. Jars can vary a little in size depending on my current stock. They are approx. 5" inches tall. The vase as well as the tins are beautiful, and Shell went out of her way to make it extra special. 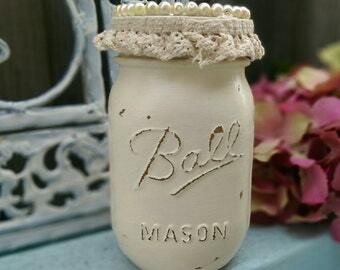 This lovely jar is gorgeous and beautifully finished. Exactly as show in picture. Also sent an adorable free gift. Worthy of 10 stars!